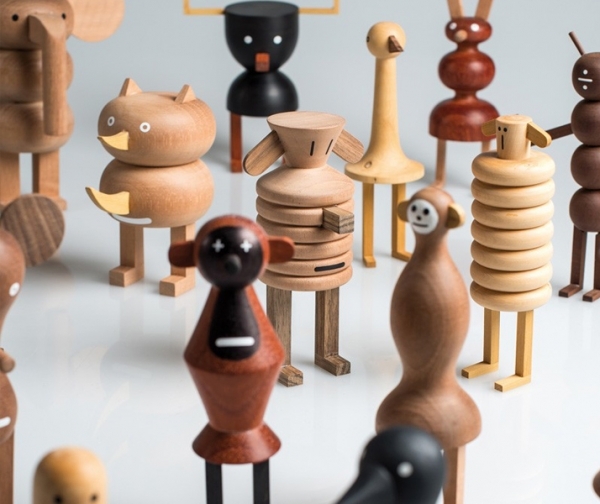 A 400-year old Japanese art of creating kokeshi dolls. The Naruko style of Kokeshi developed at Naruko hot springs. One of the unique characteristics of these Kokeshi is that their heads squeak when turned. They have kind faces and flared shoulders and skirts. The stripes at the top and bottom of the body are painted on the lathe, and the body is often painted with a chrysanthemum motif. The bangs are painted like the dolls sent as gifts from the Imperial Palace. Naruko Kokeshi wear a red headdress.